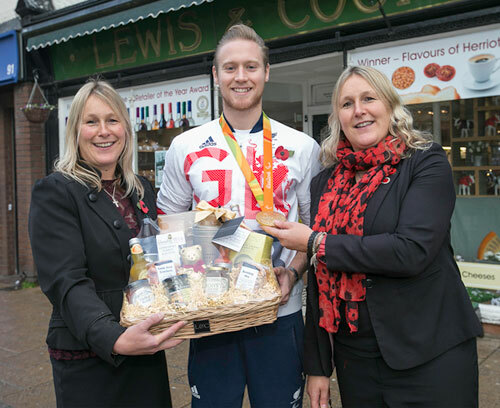 We were thrilled and delighted to meet Northallerton's very own Paralympic gold medallist Laurence Whiteley, when he popped in-store to receive a special gold hamper from our Operations Director, Victoria Howard. Laurence, who rowed to glory in Rio with Lauren Rowles in the mixed doubles sculls, certainly turned heads when he arrived in his full Great Britain kit, complete with his gold medal. After a full photo-shoot, he was able to meet some of our delighted customers and staff before visiting our Tearoom with mum Allison for a cup of coffee. 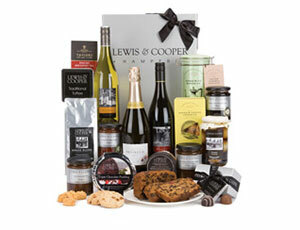 Laurence took away another complimentary gold hamper for his rowing partner Lauren, as we wanted to congratulate her, too!